People love winning free prizes, so contests of any kind are bound to attract at least some attention. Running an online promotional giveaway is a fantastic way to get people to your site and beat up some excitement for your products. The results you can expect depends on your goals for the giveaway and your ability to promote it. Why you should run a giveaway? The biggest benefits of running blog giveaways are to build the social proof – the numbers. These include the number of Facebook fans you have, the number of Twitter followers, the number of RSS subscribers, etc. Social proof is extremely helpful to encourage new visitors on your website to “Like” or “Follow” you, creating a positive snowball effect. It is also helpful to get more private advertisers. Another advantage is the increased number of blog readers. But let me make it clear. 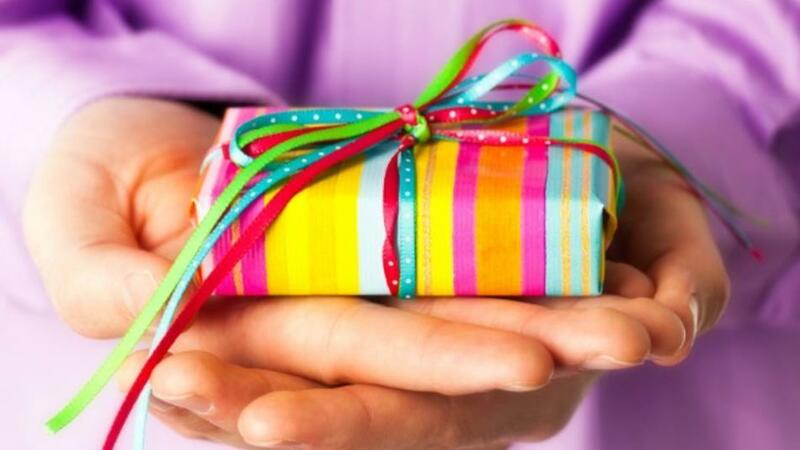 Running giveaways won’t create a tremendous boost to your regular reader count. Most people participating in the giveaway are attracted to your prize rather than your blog. If there are 100 giveaway participants only 3 – 4 of them may become your loyal reader. Again this is highly dependent on the quality of your blog content. If it is great then more people will stick to your blog. To ensure that your blog giveaway is a success that benefits both your giveaway winner and you, there are a few things that you should keep in mind. Here is a step-by-step guide on how to set-up and run a blog giveaway. Set clear, measurable goals for your giveaway. Decide the objectives of your competition right before you even begin to develop it. What do you want to get out of your competition? Is this giveaway just a little reward for your existing readers, or do you want to use it to reach out to others and draw them in? Is it to increase your blog’s subscribers or to increase Facebook and Twitter followers? Whatever your goals are it should be reflected in the entry requirements for your giveaway. The awesomeness of the prize being given away can make or break your competition. The more exciting your prize is, the more buzz that will naturally grow around it. Decide whether you want to attract potential customers that could convert down the line, or just the mass market of freebie seekers? Also, it is necessary to consider how many prizes you want to offer. Visitors will be more encouraged by multiple prizes as opposed to one grand prize. Also keep in mind that you will have to pay for packaging and shipping the item, so avoid items that are heavy or breakable. The easiest way to find something to give away on your blog is to purchase the prize yourself. If your blog is successful and making a profit then spending some money to purchase an item is not a terrible idea. After all, it is a good investment to promote your blog and to increase your subscriber base. Running a monetized blog, is just like running a business, so it is a good investment to make. If you don’t want to sponsor the prize yourself then you will have to find sponsors for your contest. The best way to do so is to announce that you’re looking for sponsors on your blog a week before you run the competition. For the medium sized blogs this will bring opportunities. But if your blog is new then you may have to approach sponsors directly. This method can be highly effective, particularly with sponsors who have products relevant to your blog’s topic. You have to decide how you’re going to deliver the prize. For example, if you’re giving away a physical product you might want to limit the contest to people within a particular geographic area to reduce shipping costs. But digital products don’t have these restrictions and so if you don’t want to have all the headaches associated with shipping choose a digital product for your giveaway. About 7-10 days are a reasonable period of time to host a giveaway. If you make it longer, your readers will forget or lose interest. If it is too short, then you won’t have enough time to promote it. Readers have short attention spans, so in order to keep them interested in your contest, keep the deadline and winner announcement within two weeks of when you first post about it. Make sure that your contest entry requirements are clear and straightforward. If you’re giving away a prize of $25 and ask to complete 10 items, you know that it isn’t worth someone’s time. Keep the entry requirements simple like tweeting, commenting, subscribing etc. Please don’t ask readers to write a blog post to participate in your giveaway. Why on earth someone will write a blog post to enter a $25 giveaway? I am not kidding, I have seen similar requirements in some blog giveaways. There are a few different ways to collect your giveaway entries. I will cover some of them below. 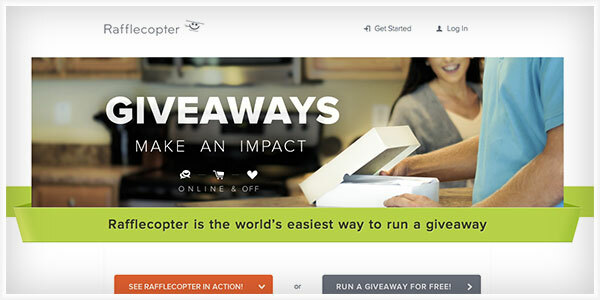 Rafflecopter, one of the most popular giveaway tools, manages all of the entries, allows you to moderate entries and helps you to pick up a random winner. User can enter the contest quickly and easily. When your promotion ends, Rafflecopter helps you to pick up a winner easily. You can download all your entries and giveaway history into a spreadsheet with a single click. Rafflecopter is free to use, but they also have paid plans for those who want advanced features. Punchtab is famous for their loyalty program but they also offer a fabulous giveaway widget. People can enter the giveaways by connecting via Facebook or their email address. Extra entries can be earned by liking your Facebook page, leaving a comment, tweeting about your contest, and sharing a unique link that each person gets with their friends. When people click on that link, they automatically get an extra entry and PunchTab tracks it all for you. This is an old and inefficient way, but if you don’t want to use third party applications for managing your giveaway then you can utilize blog comment section and online forms to collect entries. The problems with this method are that you will have to manage burdens such as creating spreadsheets, picking up winners etc. Also, your comment section will get filled with “Followed you on twitter”, “Liked you on Facebook etc.”. Another alternative is to use Google docs to create an online form and collect entries. Okay, now comes the fun part – driving traffic and promotion! There are a number of ways to promote your giveaway. Promote your giveaway to your existing blog network through Twitter, Facebook fan pages, email subscribers, as a small reminder at the end of your new blog posts, sidebar links etc. You can also use your personal network, but please don’t be too pushy or repetitive. Your friends will get irritated when their feed is full of your giveaway promotions. Write good guest posts on other blogs in your niche and at the end of the post or in your author bio mention about your giveaway. If the reward is something attractive to the readers of that niche then you will surely get some attention. You can find a comprehensive list in this post. One thing I want to mention here – the traffic from these giveaway listing sites will be mostly freebie seekers. So if you want to convert them into readers you will have to provide top quality material and should be able to capture their attention immediately (yes, blog design plays a vital role). Another idea is to look for other bloggers in your niche who are doing giveaways and swap links — by mentioning each others giveaways. This is a win – win situation for both. It is really important that during a giveaway you continue to post ‘normal’ content on your blog. Yes, your readers will enjoy the contest – but that is not what they’ve subscribed for. Make sure to keep your normal posting frequency up during a competition. Writing some posts in advance will help you with this. Now it is the time to pick up a random winner. If you are using a third party tool like Rafflecopter or Punchtab, then you can use inbuilt tools to pick up winners automatically. If you are managing entries yourself, then the best way to choose one is to use an online Randomizer, like Random.org. It will generate a number for you and then you find that entry, and that is your winner. It’s not essential, but if you are doing a random draw, then include pics of the process. It will show that your giveaway is genuine. After you choose the winner, send them the prize and announce it on your blog. The other readers on your blog love to find out who won. Not only is this appealing to your readers, but it shows them that the giveaway was authentic. Try to consider everything that may go wrong before you organize your giveaway. A good rule of thumb is to treat your giveaway item in the same way you would treat an item you sold and consider the giveaway winner as your best customer. It’s a good idea to insure your package against loss or damage, or, at the very least, offer the winner a chance to purchase additional shipping insurance. There isn’t an exact science to effectively host a giveaway, but the points mentioned above are certain things to do in order to improve your success. And it is better not to do giveaways all the time. They should be like sales, rare but remarkable when you do have one. What’s your greatest giveaway tip? Share them in the comment section. Nice post buddy ! Cool writeup for all those newbies who are planning to host a giveaway on their blog. Having Rafflecopter for give away has always been nice experience for me. Thanks for rolling out such a cool post. Giveaway could be really helpful. Last month, I ran our third yar anniversary contest where I gave away one Lumia device. It got some good traction and social media attention. Believe me or not, but that contest alone brought enough traffic that it paid off the cost of the device. Unfotunately, I missed some of the website where I can promote my giveaway. You provided a nice list, btw. I’ve done a couple of giveaways before, but this gives me a few more options! Thanks. Nice Article & You should read it when running a Success Giveaway . You Should keep in mind that you are looking for user engagement 🙂 Thanks Rojish ! You have shared some good points here.. Thanks man..